Broiler chickens are Mississippi’s largest agricultural commodity, with 746 million produced in 2017. They are grown in large, open houses with ample food and water. However, the current system has limitations, given all birds are at ground level. A new study in the Mississippi Agricultural and Forestry Experiment Station is exploring the use of elevated perching platforms to improve bird mobility, health, airflow, and the condition of litter in broiler houses. In a laboratory test, a small-scale platform is designed to measure 48 inches wide by 24 inches deep. It includes ramps for easy accessibility. Each platform is grated so that manure can drop below the platform for easy disposal. The platform improves mobility as it gives the birds the opportunity to move around and get off the litter. Ramp access increases bone health and strength due to the added physical exercise and by providing the opportunity to move up and down on an incline. 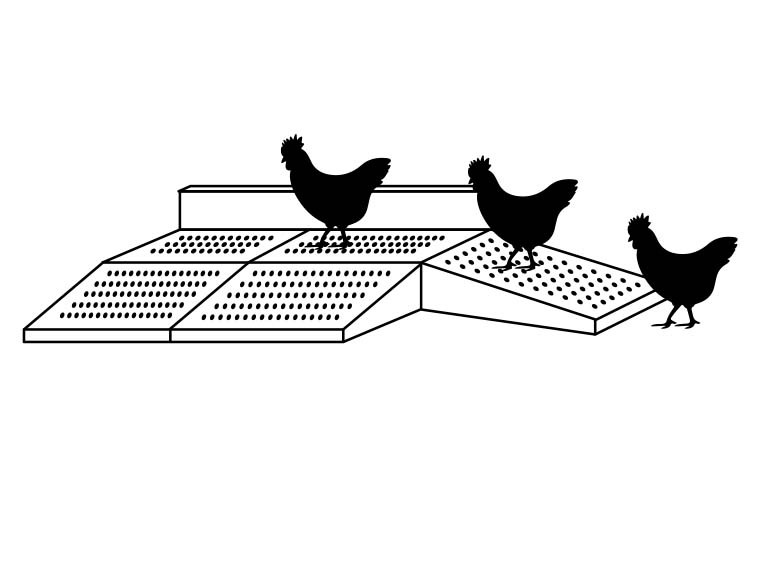 To determine the effect of the platform on broiler activity, scientists have equipped birds with an accelerometer. Accelerometers record the directional acceleration of the animal: forward and backward, left to right, and up and down. They are also analyzing real-time video to determine platform usage and to correlate accelerometer data. Scientists have incorporated the use of a robot to encourage birds to use the platform. To ensure that the robot does not stress the birds more than a caretaker, they measured the use of the autonomous vehicle through a non-invasive method called avoidance distance tests. In addition to increasing mobility, the elevated perching platforms potentially will improve the paw quality of broilers. The litter becomes wet because of the cooling cells in the broiler house that create high levels of moisture. The air circulating through the house does not dry the litter because the chickens are all on the floor. Preliminary research has been conducted with more research planned for the coming year. Ultimately, it is expected that the research will improve broiler welfare and health, increase ventilation efficiency, and enhance air quality. This research was funded by the Mississippi Agricultural and Forestry Experiment Station.